In Feng Shui, before you can attract beneficial Chi to a specific area inside your home (wealth, health, romance) you need to draw Chi to your front door. Your front door is where Chi enters to nourish and energize your home and yourself. Traditional red Chinese door. 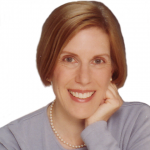 Modern Feng Shui has more options to be creative. A classic Feng Shui cure is a red front door. 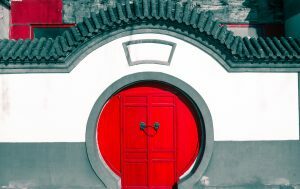 A red door works because It captures attention, it has energy (color energy), and in traditional Chinese culture the color red is thought to bring luck. How to draw Chi to your front door so it can enter and energize your home? Something that catches the eye will also catch Chi. The best Feng Shui cures are objects with their own energy: light, colors, plants, and personal treasures; and things that enhance the energy of a space: mirrors, stained glass or crystals in sunlight. 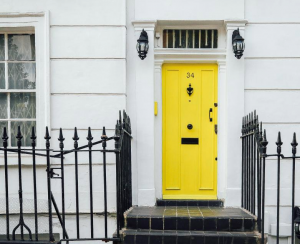 Red is not the only Feng Shui color for your front door. You have many options for enhancing your front door. Red is traditional, but any bold color will work. (The “Good Taste Lady” in me suggests choosing a bold door color that compliments the basic color of your house.) Consider: Purple, Cobalt Blue, Sunny Yellow, or Bright Green. Planters, potted plants or a walkway borders of greenery or living colors draw Chi to your front door. Healthy plants have Chi and will attract Chi to themselves and when placed correctly, to your front door. Add a stylish mailbox instead of your standard, utilitarian one. Find a mailbox with bold color or intriguing hardware. Use large graphic house numbers. Paint your house number on the extetior wall next to the front door in a very large font in a color that complimented the house. This not only attracts Chi, but adds zing to a modest house exterior. 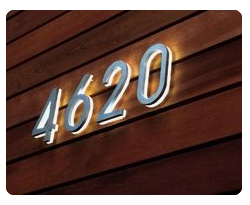 Illuminated house numbers not only attract Chi, they welcome guests. One or two energy efficient light fixtures of 60 watts near your front door will make your home more welcoming for visitors and Chi. Good maintenance comes first. Enhancements are useless if you have a broken step, stuck front door or non-functioning door bell. It would be like putting lipstick on a pig: It won’t attract Chi and the pig will be mad. Note: While some of these photos show several cures, more is not necessarily better. One good cure is more powerful than several weak cures.